Hedsor House is a luxury exclusive hire wedding venue near London. 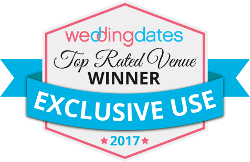 Situated on the Buckinghamshire / Berkshire border our Georgian Mansion provides the perfect backdrop for your wedding, celebration, film shoot or corporate event. An unrivalled blank canvas that becomes exclusively yours for the day and night. A stunning Georgian mansion with over 100 acres of private parkland, a short distance from the city.